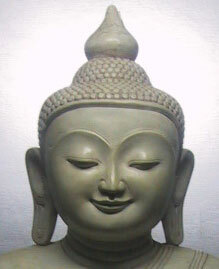 The Zen Masters teach that the pure mind is the eternal Buddha – nature. To attain enlightenment, to be aware of one’s own Buddha – nature, it is necessary to go beyond our ordinary thoughts. When we are free from our own projections and ideas, we can be aware of the Buddha Reality which is all pervading. we experience duality in life. Zen quotes are inherently paradoxical, because the goal of Zen cannot adequately be described in words. Great Zen Masters often appeared to be talking in riddles as they tried to point their students towards their Buddha nature – A consciouness that is all pervading yet eludes our grasp. ” It is present everywhere. These poems are not poems. then we can begin to speak of poetry. Zen teachings are noted for their compact and terse nature. This is because enlightenment cannot be attained by studying complex scriptures, enlightenment comes through inner practise.